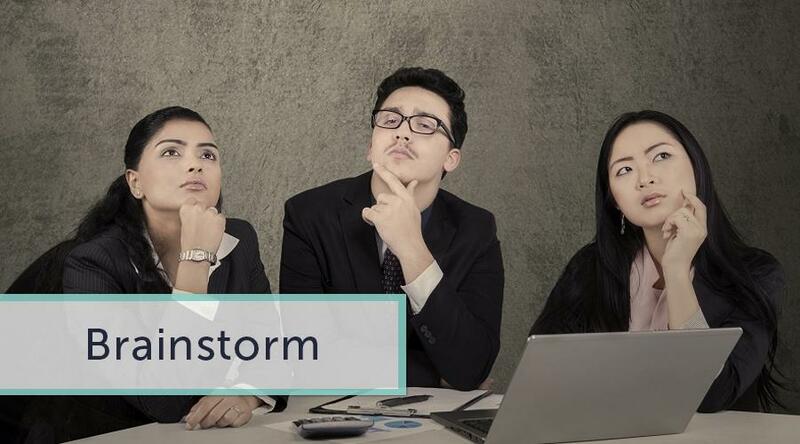 Many students are afraid to resort to brainstorming since the word itself sounds intimidating. Actually, one can easily use brainstorming ideas that will make the writing process easier. Please check how it works. Get ready for the brainstorming. Decide what is easier for you: to take a piece of paper or open a blank doc file and type your ideas. The point is to write down your brainstorming ideas as fast as possible. Moreover, researchers state that the condition of your workplace influences the productivity of your thoughts. Thus, please choose a comfortable and clean place to generate your ideas. Settle specific time frames while brainstorming for an essay. Some students think that the more time they spend on this activity, the better. Do not follow this misconception since your brain will be torn into pieces. 10-15 minutes will be more than enough for one session. Think about one single aspect/subject and write down everything that pops up in your head. You should not try to systematize information or think if it is relevant. You should create a question in your head and then write down everything that comes to your mind, be it relevant or not. This stage is sometimes called 'plain writing'. Now you can gather information, see what you have written, and try to somehow systematize your sketch. You can divide your paper into different sections and group ideas according to various categories. It is up to you how to re-arrange the facts. The most important is to get rid of inappropriate ideas and get the basis of your future paper. If you believe that your outline with ideas is just appropriate for the task, you can begin writing your first draft. Mind mapping.This technique is highly appreciated by students who have properly developed visual imagination. Take a sheet of paper and write down your research question in the middle of the page. Then write down the most striking ideas and circle them around. Secondary ideas can be taken into a square and connected with the main ones. This brainstorming technique is very helpful if you would like to see whether ideas are connected with each other. Free writing. It is the most popular technique since it does not require much. You take a pencil and write down everything you think. Sometimes your ideas can lead you to the unexpected conclusions. Your goal is to provoke your subconscious generate ideas, which would have never been produced in any other conditions. The student should focus on the possible questions about the topic and write down answers to them. The common questions 'Who, where, what, when' can be very helpful. Role-storming.Try to pretend that you are someone else (of different gender, skin color, age, etc). You should attempt to see the problem from a completely different perspective.